Advent season is upon us! And thanks to my nativity advent calendar, it has forced me to keep a goal of doing some spiritual study each day. Not only am I keeping my goal for 2015, but I am also connecting to the simple and everyday life that I know God lives in. 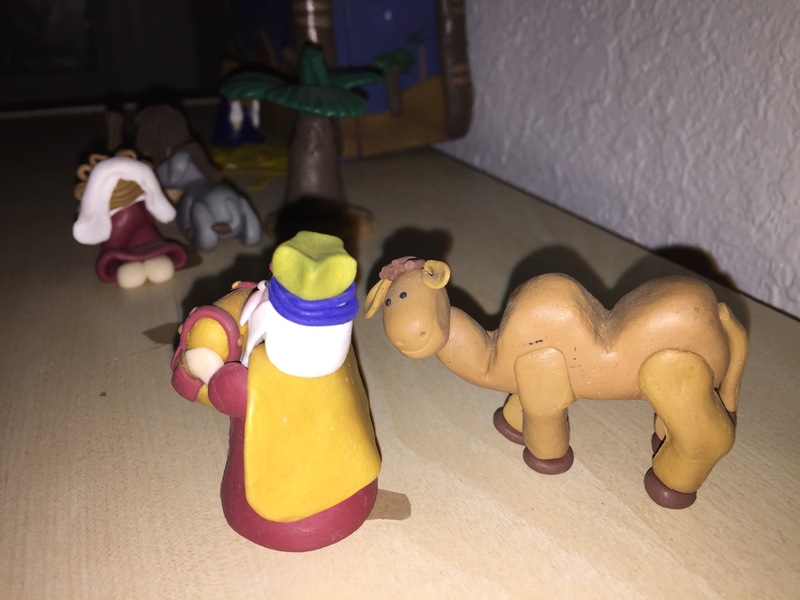 Day 8: Wise Men wait a minute?!? what? I thought the “Three Kings” came in January. Well, technically they do. But they saw a star and followed it. They didn’t juts arrive at Bethlehem the next day. 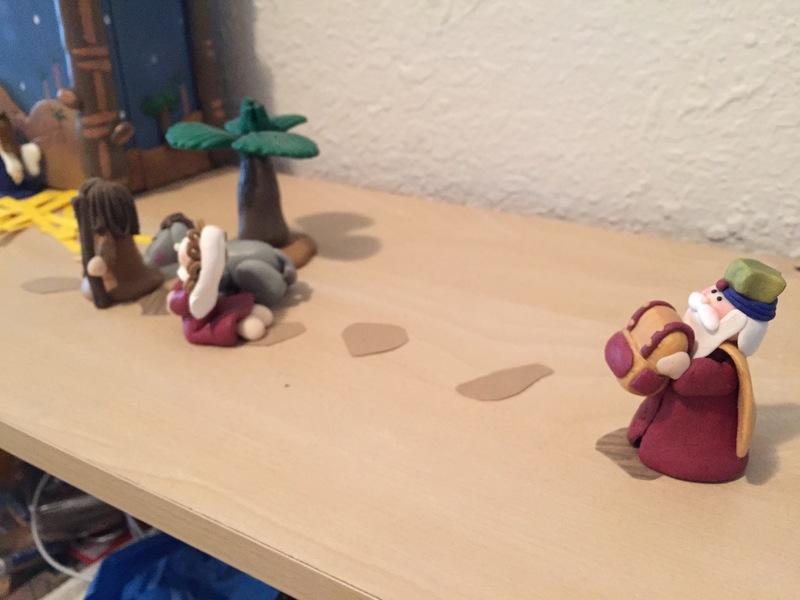 Again, this nativity teaches us that God came into our world, worked through our time lines. The wise men had to leave eventually between seeing the star. Who knows, maybe they were on the same path that Joseph and Mary traveled weeks before. But they did begin the journey. And so starts the little wise men’s journey..